Who Makes Up the Kerr-Tar Region? Region K counties are comprised of individuals and families from a variety of backgrounds and cultures. Whether a Rural Resort Dweller; Southern Satellite; or Rural By-passer, all call the region home. Please refer to the Tapestry Segments provided by ESRI here for more information. County information click here and Municipal Tapestry information may be found by clicking here and the marketing profiles are found here. Youngsville is located in Franklin County and Stem is located in Granville County. 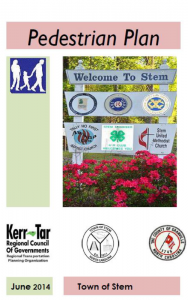 Both municipalities are member governments served by Kerr-Tar Regional Council of Governments. Key Facts for each city/town are shown in alphabetical order when you click here. City and Town Demographics can be viewed by clicking here. City/Towns are listed in alphabetical order. Demographics have been updated for each county within the region. To secure the updated summary for a particular County simply click on the desired county to review the information. Franklin, Granville, Person, Vance and Warren. Additional demographic information regarding population, housing, etc. can be accessed by clicking on the corresponding county for their informational link. Franklin, Granville, Person, Vance and Warren. Successful regions understand all of their potential resources and link these together for the betterment of all residents, visitors, and businesses. Community planning encompasses strategies that link economic development, environment, land use and transportation, systematically working through opportunities and constraints to achieve solutions to our region’s most pressing issues. 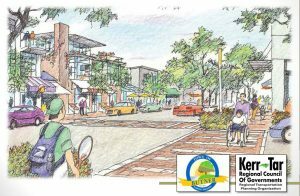 The KTCOG is involved in community planning, providing planning assistance to Kerr-Tar counties, municipalities and citizens in the development of small area plans and other community design issues. 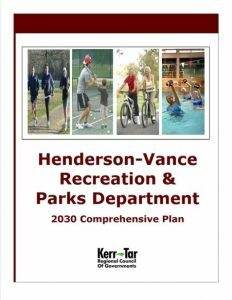 This is accomplished by providing local assistance in comprehensive plans, providing training and workshops, and planning and hosting charrettes and workshops. 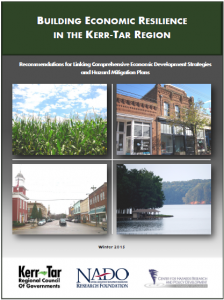 Comprehensive Plans – Principal planning tool used by local governments to look at interrelationships between land uses, transportation, utilities, recreation, neighborhood revitalization, historic preservation, and other community elements.